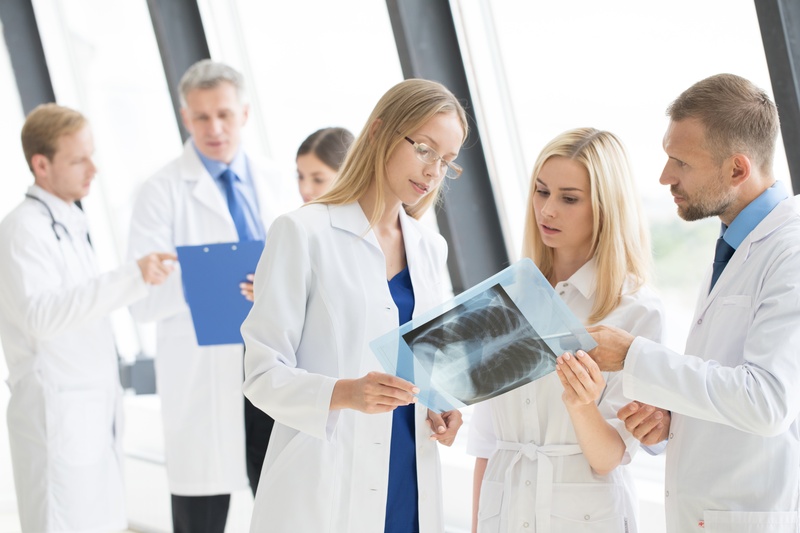 While interventional radiologists receive extensive training in radiation safety, radiation technologists and other health care workers who encounter radiation on a limited basis receive much less training. Dosimetry– Every employee who works around radiation should wear a dosimetry badge to track daily and cumulative radiation dose. It’s easy to become complacent about wearing dosimetry badges, and an employee might even be less inclined to wear one if there are high readings. Facilities that use the Instadose+TMdosimetry badge can spot higher than normal exposure readings right away, since this dosimeter badge is digital and offers on-demand reports for all users. Shielding– Shielding requirements include aprons with thyroid shields, lead glasses, and protective drapes. Employees should remember that the mere presence of shielding is not enough to protect them — they need to use it properly. Proper usage of equipment– Each piece of imaging equipment has unique radiation safety features. Employees should not only know how to use the machines but understand the safety features and ensure that they are functioning as intended. Train employees properly, to ensure their safety, the safety of patients and adherence to federal and state regulations. Radiation Protection Programs Home Page; Health Effects, http://www.epa.gov/rpdweb00/understand/health_effects.html(Accessed on November 10, 2014). The number of PCI procedures has increased over fifty percent since 2000. P. Best, et al, 2011.